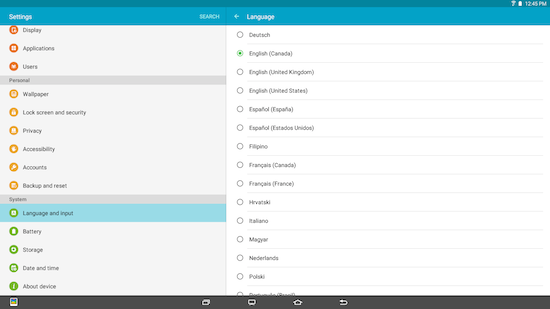 Galaxy View: How do I change the default language on my Samsung Galaxy View? Change the Default System Language on your device. 3. 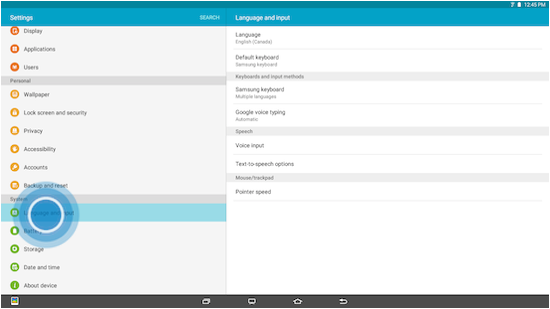 Scroll to and touch Language and input under the System tab. 5. Select your preferred system display language from 41 different languages. 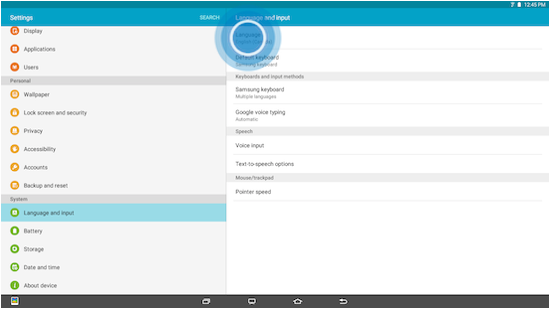 Galaxy View: What Location settings (GPS) are available on my Samsung Galaxy View? Galaxy View: How can I change the Wallpaper on my Samsung Galaxy View? Galaxy View: How can I adjust the screen brightness and timeout on my Samsung Galaxy View?